Looking For The Best Clip On Tuners For Mandolin? Here’s a look at our favorites, including our top pick – the Mugig Clip-on Tuner. The mandolin is one of the most beautiful, and one of the most versatile, instruments in the world. 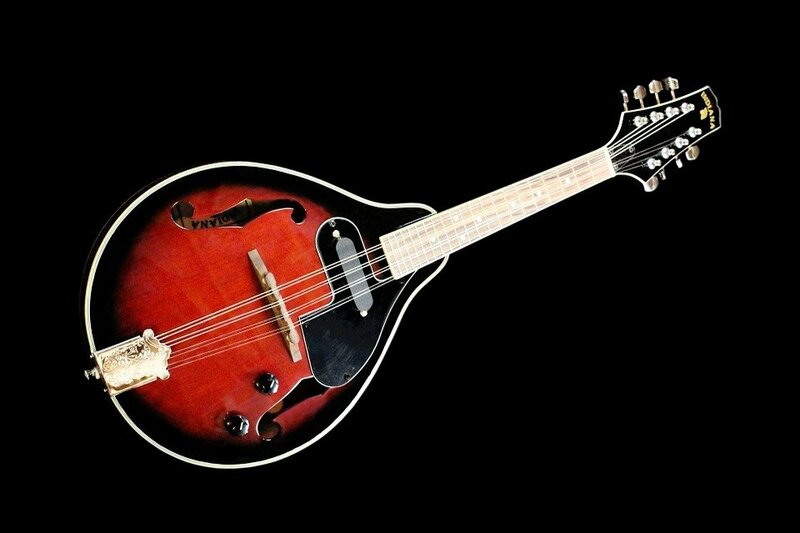 Equally at home in a folk ensemble, a country band, or a rock group, the mandolin can do it all. If you want to make your own mandolin playing better and more effective, your choice of accessories can make a world of difference. 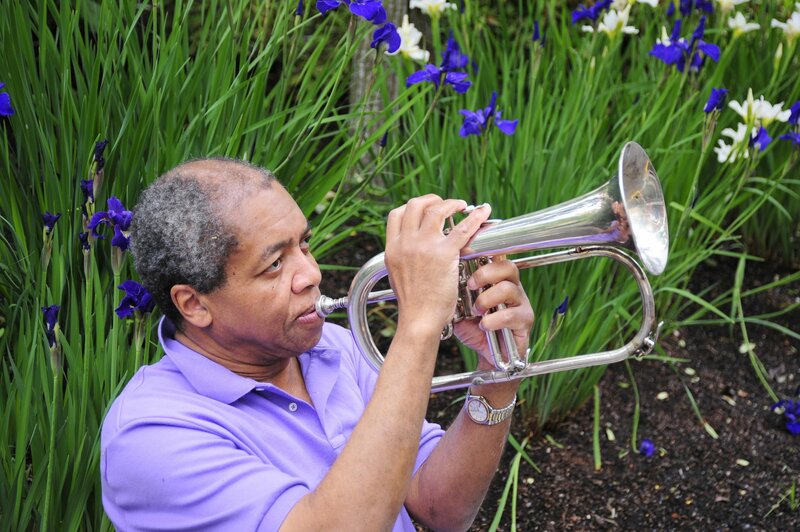 In particular, the right clip-on tuner can help you get the perfect sound from your favorite instrument. Whether you are practicing or performing the music you love, the right clip-on tuner can make your wonderful mandolin sound even better. Here are five of our favorite clip-on tuners for mandolin players – from the amateur musician to the professional session player. Quality: You want a clip on tuner that’s going to last you the entire life of your instrument. Some clip on tuners have clips that are made of frail plastic that will bend and break. We’ve taken this into account in our top 5 list so that you can confidently buy a tuner that won’t break on you ever. Easy to read: If you’re going to be using this clip on tuner during live performances, you’ll want to make sure your tuner has a screen that you can read, and are able to see in any light setting. Keep in mind what your preference is as you’re browsing, the one that you think is easiest to read, is likely the one you’ll want to purchase. Price: Many of these tuners are less than $50, some are even less than $10. So keep in mind when you’re buying the price you’re willing to pay for a clip on tuner. A $10 tuner may have a slightly cheaper LCD screen, but that doesn’t mean it will have less functionality than it’s more expensive counterparts. With its chromatic tuning, its large clear color LCD display and its long list of features, it is clear that the Mugig Clip-on Tuner for Guitar, Ukulele, Bass, Violin, Mandolin and Banjo is one of the best values on the market today. 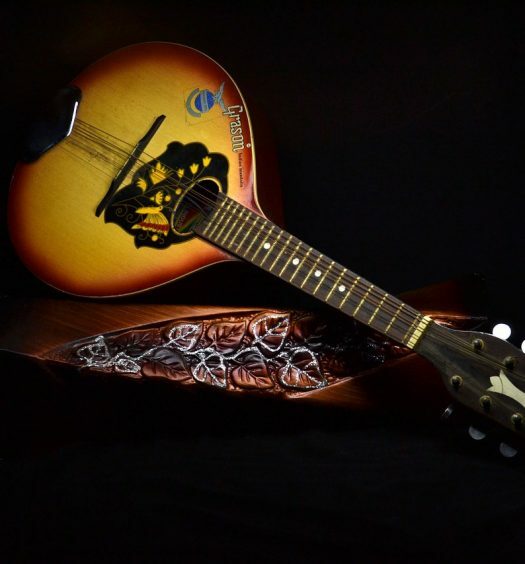 It is also one of the most versatile, equally at home on a wide variety of stringed instruments. That means the whole band can share the tuner, passing it around and using it to fine-tune their sound in practice and performance. 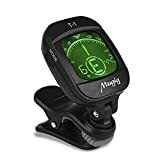 The Mugig Clip-on Tuner for Guitar, Ukulele, Bass, Violin, Mandolin and Banjo currently has a 4.3 out of 5-star review rating on Amazon.com, so it is clear current owners appreciate its quality and reliability. Versatility is another factor in its favor – this great clip-on tuner supports multiple tunings and can be used with not only mandolins but ukuleles, guitars, bass and even violins. The Mugig Clip-on Tuner features a highly sensitive vibration response, designed to ignore background noise and make playing and performing easier. 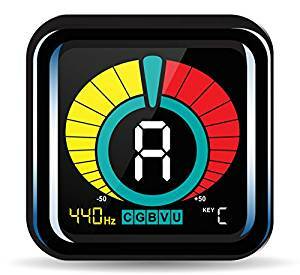 With a pitch calibration ranging from 430Hz to 450Hz and its clear LCD display, this great clip-on tuner is also easy to use and effective under all kinds of playing conditions. That makes the Mugig Clip-on Tuner one of the best values on the market today. The Fender Clip-On Tuner FT-004 for Guitar, Ukulele, Bass, Violin, Mandolin, and Banjo is also one of the most versatile, and one of the most affordable, options on the market today. 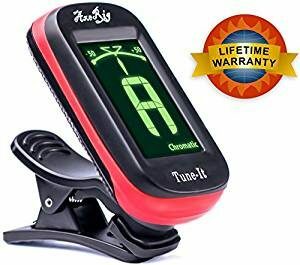 With a price point of less than $11 and an average Amazon.com review rating of 4.3 out of 5 stars, this great clip-on tuner provides a rare combination of affordability, versatility and durability. With its small compact size and its one-handed clamp, the Fender Clip-On Tuner FT-004 for Guitar, Ukulele, Bass, Violin, Mandolin, and Banjo is easy to use for even solo players. 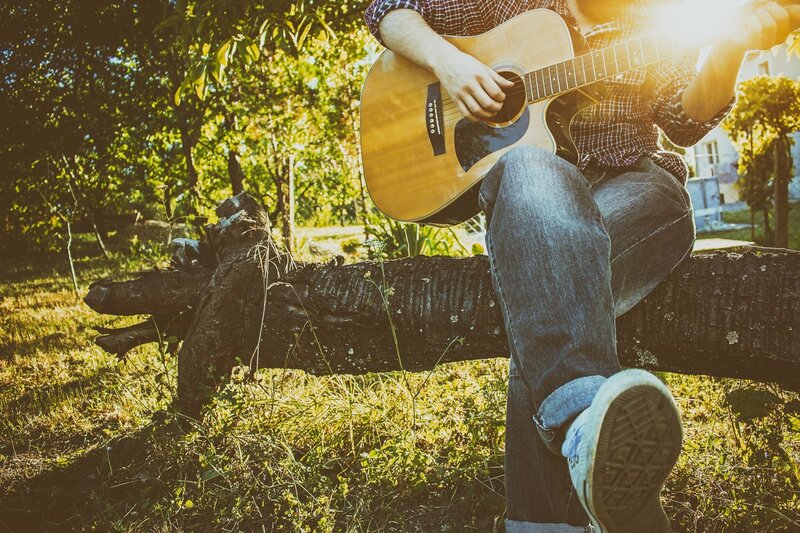 It also includes a number of tuning modes, including guitar, chromatic and violin, so you can play however you want and test your sound with the touch of a clamp. The Fender Clip-On Tuner FT-004 for Guitar, Ukulele, Bass, Violin, Mandolin, and Banjo features a tuning range of B0-B7, and it includes a 2x 3V 2032 battery for extra reliability. 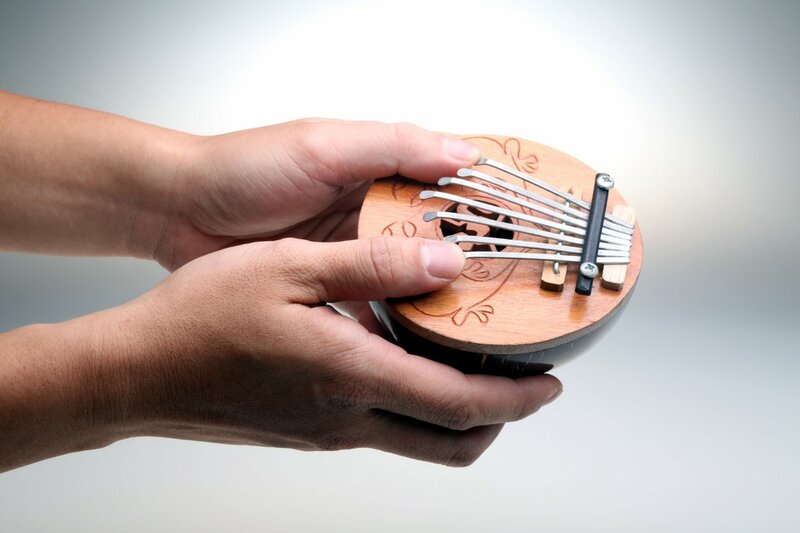 The KLIQ UberTuner – Clip-On Tune is one of the best clip-on models on the market today, and it is designed to work with all kinds of instruments. Whether you stick to the mandolin or branch out to guitar, bass, violin and ukulele, you can use the KLIQ UberTuner – Clip-On Tuner to keep your sound pure and your performances sharp. With an average Amazon.com user review rating of 4.8 out of 5 stars, it is clear that current owners of the KLIQ UberTuner – Clip-On Tuner have been quite impressed. It is also clear that the low sub-$50 price point makes this clip-on tuner one of the most affordable on the market, and one of the best overall values. Despite its relatively low price point, the KLIQ UberTuner – Clip-On Tuner includes a long list of features, starting with its advanced microprocessor and its sensitive Piezo sensor. Designed to enhance the accuracy of your tuning and improve your play, this clip-on tuner has a great deal to offer musicians of all interests and abilities. Whether you play in a rock band, compose with a folk group or play on your own at local clubs, you will find a lot to love in the KLIQ UberTuner – Clip-On Tuner. The D’Addario NS Micro Clip-On Tuner is another excellent value for the money, and one of the most affordable on our list. 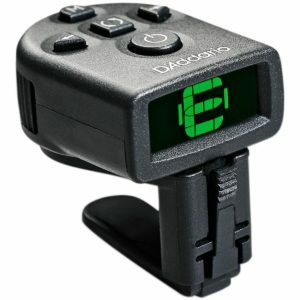 With a price of just $11, the D’Addario NS Micro Clip-On Tuner is clearly easy to buy, but it also sports an average Amazon.com review rating of 4.3 out of 5 stars. That gives it a combination of quality and value that is hard to beat. Despite its low price point, the D’Addario NS Micro Clip-On Tuner features a long list of features, including its discrete and compact design. This tiny tuner can easily hide behind your headstock, and its small size means you can clip it on every instrument in your kit. 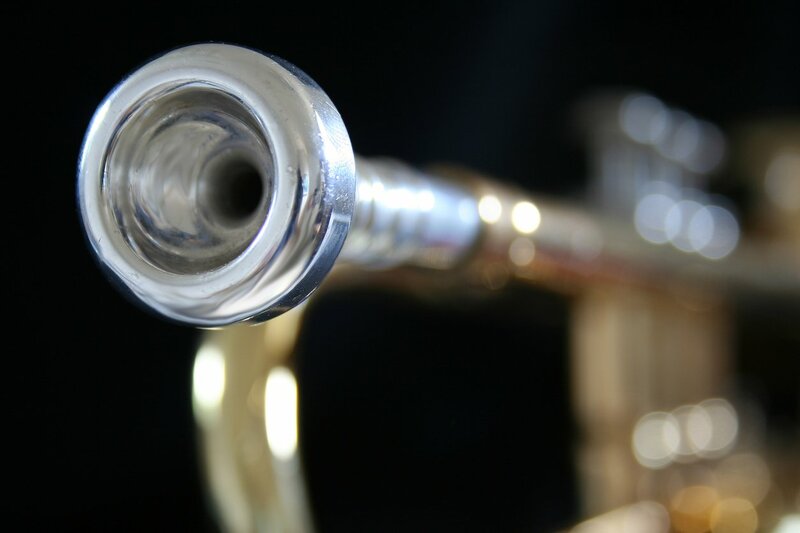 For just a few bucks, you can outfit the entire band with discrete tuners that are highly effective and easy to use. 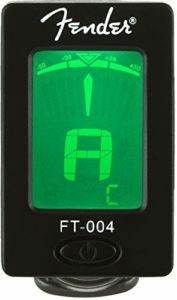 Equally at home on a mandolin, guitar, violin, ukulele, banjo, cello, trumpet, sax or flute, the AxeRig Clip-On Chromatic Guitar Tuner is one of the most versatile clip-on tuners on our list. If you are looking for a companion that can follow you anywhere and provide great performance anywhere, this one should definitely be on your shopping list. The AxeRig Clip-On Chromatic Guitar Tune currently has a 4.6 out of 5-star user rating on Amazon.com, so it is clear that its current owners appreciate its quality and reliability. And with its low price of less than $20, it is also clear that the AxeRig Clip-On Chromatic Guitar Tune is an excellent value for the money. Despite its low price point, the AxeRig Clip-On Chromatic Guitar Tuner sports a long list of features and benefits, including its legendary accuracy and its easy swivel design. If you are looking for a great clip-on tuner at a great price, put this one on your shopping list. The right clip-on tuner can make a world of difference in how you play, and the five options on our list are all excellent choices for both amateur and professional musicians. If you want to hit the stage with confidence, you need the right tuner by your side, and on your mandolin.